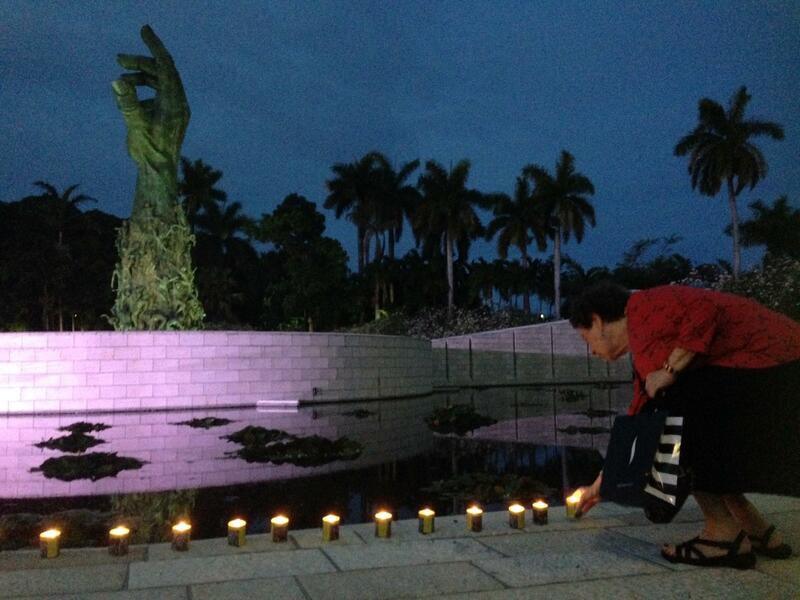 Those observing Yom HaShoah placed candles around the pond at the memorial. "Now that we’re at a point where the Holocaust historically goes back so many years; there’s always a concern that, particularly for the young people, that memory will be lost,"said Bob Berrin, the chair of the Greater Miami Jewish Federation. "So it’s critically important that we have a place like this where particularly the young can come and can see it because it’s important to keep that memory alive." The memorial hosts an average of 100,000 visitors each year. Andrew Hall is chair of the memorial and a Holocaust survivor. "The whole purpose of the memorial is to remember so that those things don’t happen again. So we remember our dead, we honor the survivors but we teach the lessons of the Holocaust so it doesn’t reoccur. And we’re in the middle of times where those lessons must be taught," Hall said. Many who work at the memorial are Holocaust survivors. David Mermelstein volunteers at the memorial every Thursday. He was the only one in his family to survive the Holocaust. His wife is also a survivor. "Every year when there is a Yom HaShoah, we come down here because we don’t have a cemetery to go to," Mermelstein said. This year’s day of Yom HaShoah is April 15th.